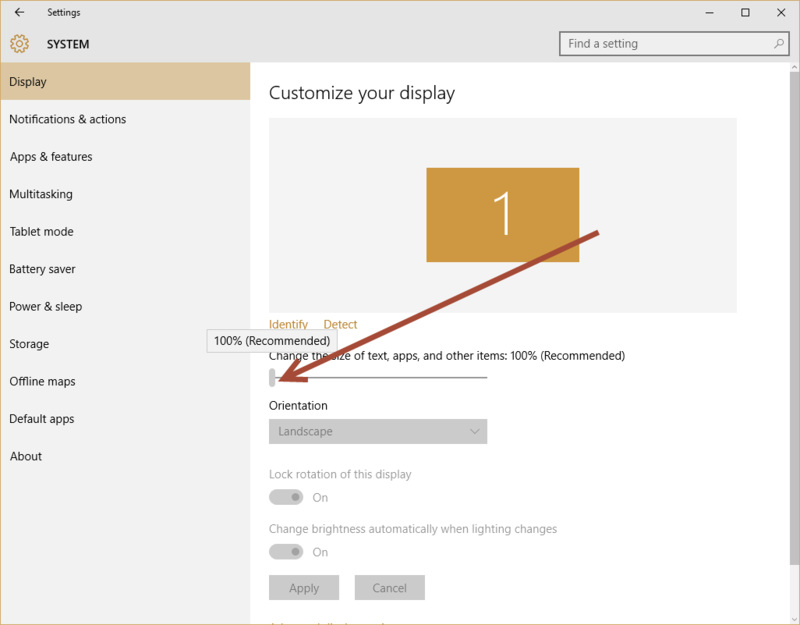 I am using a high DPI setting and am having display problems. Please verify your screen DPI settings. Minimize all windows and then right-click and choose Personalize. 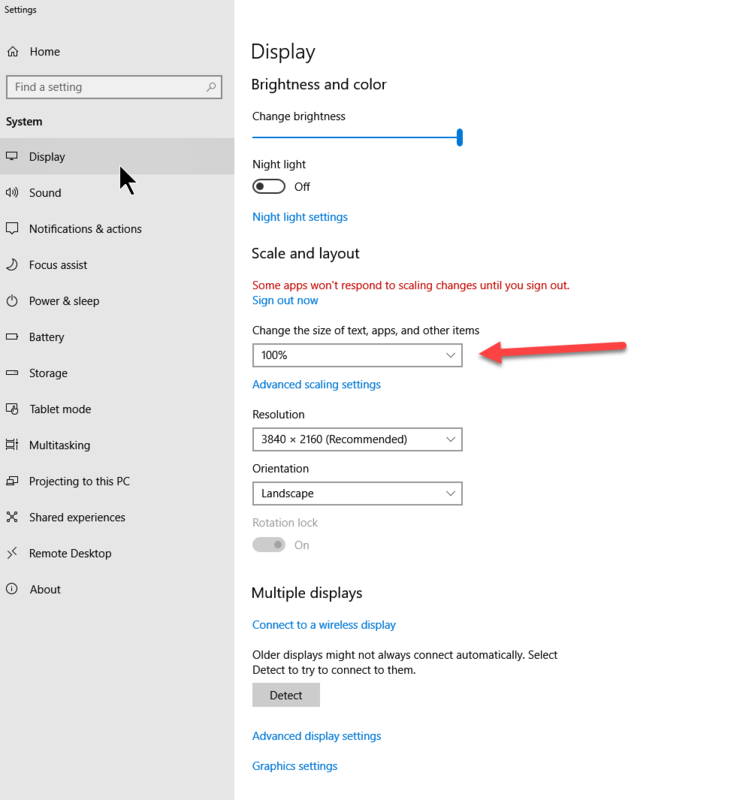 Then follow the attached screen shot, you should have slider to the left (100% Recommended), we do not support the larger dpi setting at this time. 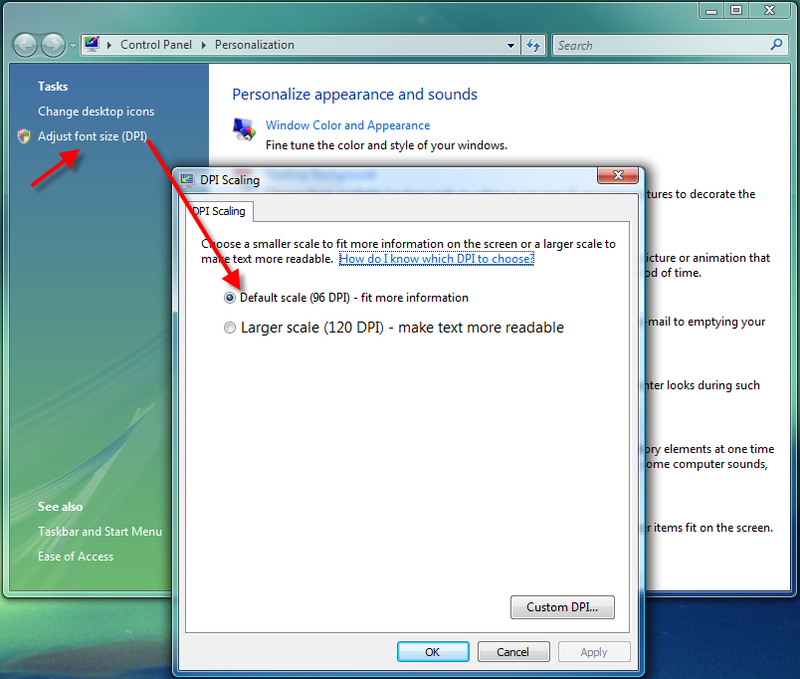 Minimize all windows and then right-click and choose Display Settings.